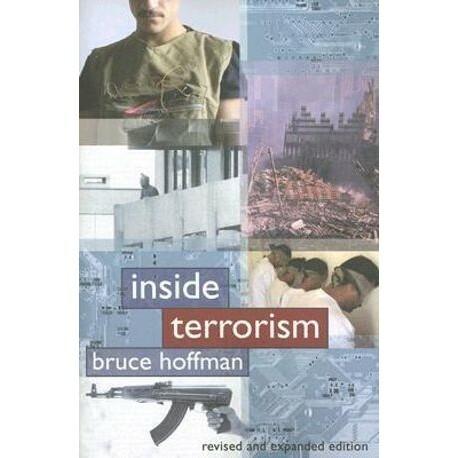 Bruce Hoffman's "Inside Terrorism" has remained a seminal work for understanding the historical evolution of terrorism and the terrorist mindset. In this revised edition of the classic text, Hoffman analyzes the new adversaries, motivations, and tactics of global terrorism that have emerged in recent years, focusing specifically on how al Qaeda has changed since 9/11; the reasons behind its resiliency, resonance, and longevity; and its successful use of the Internet and videotapes to build public support and gain new recruits. Hoffman broadens the discussion by evaluating the potential repercussions of the Iraqi insurgency, the use of suicide bombers, terrorist exploitation of new communications media, and the likelihood of a chemical, biological, radiological, or nuclear terrorist strike. Closer to home, Hoffman reconsiders the Timothy McVeigh case and the threats posed by American Christian white supremacists and abortion opponents as well as those posed by militant environmentalists and animal rights activists. He argues that the attacks on the World Trade Center fundamentally transformed the West's view of the terrorist threat. More relevant and necessary than ever, "Inside Terrorism" continues to be the definitive work on the history and future of global terrorism.